Repair and Replacement Caravan Roofing. Or Treat Your Holiday Home to a New Pitch Roof. We Update, Upgrade, Modernize, Improve, Repair and Restore. Which Ever You Want To Call It, We Can Do It. This Static Caravan Improvement Service by SNS can Give Your Holiday Home a Complete New Look. We Can Install a New Modern Pitch Roof that Replaces Your Existing Oval-Type Caravan Roofing. We Fit This Caravan Pitch Roof using High Quality Roofing Struts, then we Cover Your Caravan Roof with an Insulation Sheeting. 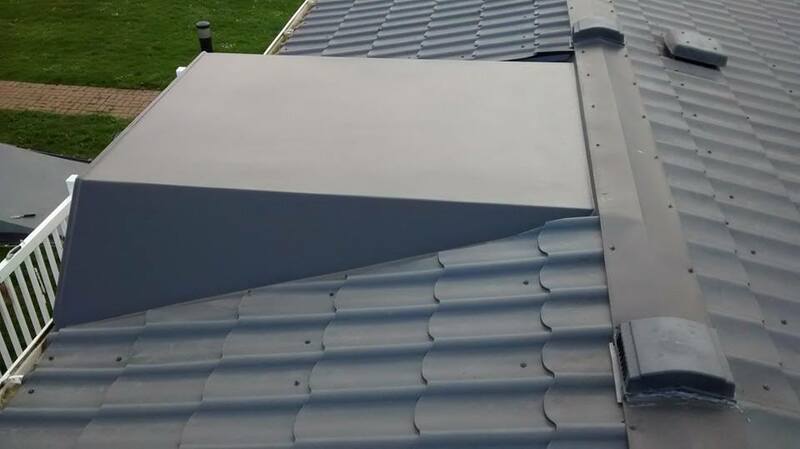 To Finish Your New Caravan Roof We Position and Fix on Top Quality Aluminium Tile Effect Cladding Roof Sheets that are Guaranteed for 50 Years. 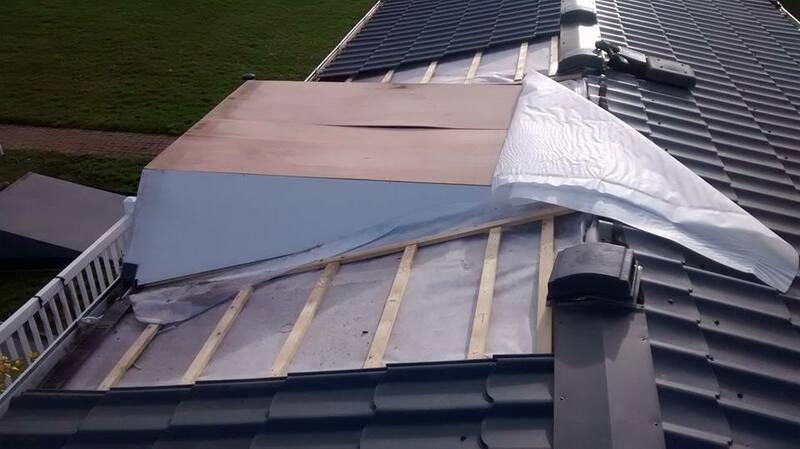 Its Not Just A Complete New Caravan Roof We Can Give You, We Can Also Repair Your Existing Roofing on Your Static Caravan. If You Have A Leak or Any Damage To Your Existing Caravan Roofing then Please Do Call us or Send Us an email. 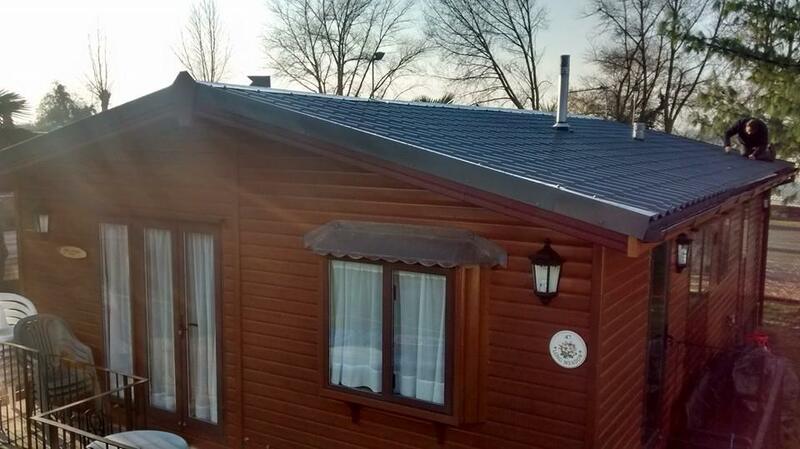 Quality Aluminum Roof Being Installed with Fascias on this Lodge by SNS Caravan Repairs. Caravan Roof Repair. Damaged Roof Panels, Removed & Replaced by SNS Caravan Repairs. 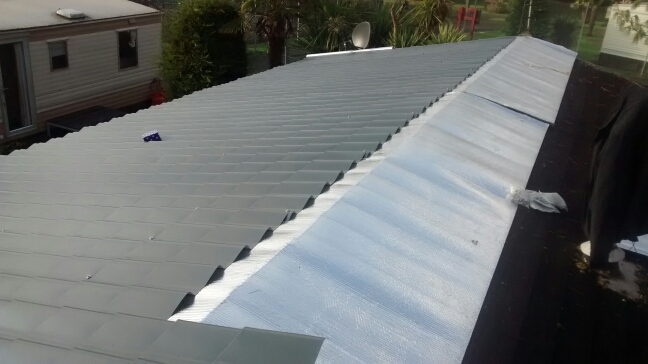 Static Caravan Roofing Repairs and Replacement Is Part and Parcel Of Our Caravan Repair Company. We Evaluate, Discuss, Supply and Fit to Suit Your Needs, To Suit Your Caravan Holiday Home. Below are Some "Before" and "After" Photos. Just a Random Job or Two Picked to Give You A Visual Aspect of the Caravan Roofing Work Completed by SNS Caravan Repairs and Improvements. 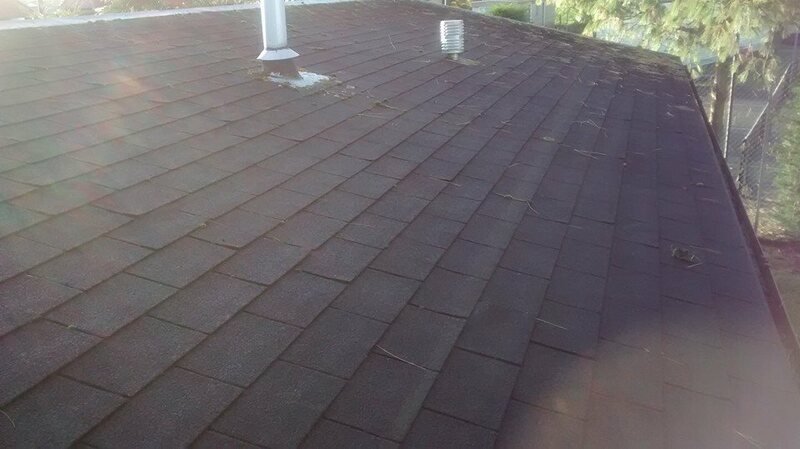 Before - Weather Worn Roofing On This Holiday Lodge. In Need Of Replacement & Repairs. SNS Caravan Repairs Requested to Carry Out Work on the Lodge Below. After - Job Complete. Brand New Roof Installed On This Lodge. Top Quality Aluminium Metal Effect Roof Sheets Fitted. New Fascias Also Fixed into Place for that Extra Finish. Before - Static Caravan Roof with Damaged Panels in Need Of Replacing. SNS Caravan Repairs Requested For Job To Be Done. After - Job Done. Caravan Roofing Panels Now Replaced, Repaired & Looking Great. 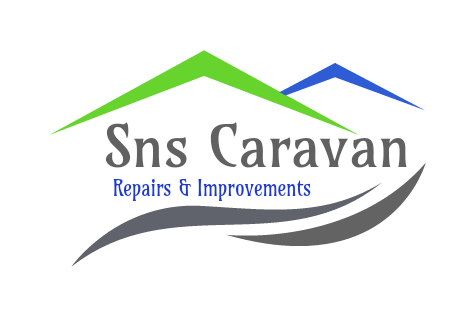 Completed by SNS Caravan Repairs Company.